One of their all-time best selling wines, this fragrant white is touched with a tinge of sweetness. 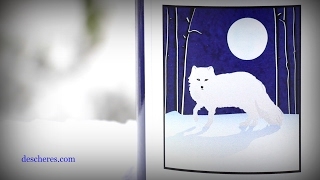 An unbeatable pre-dinner sipper, Arctic Fox also performs admirably with many foods that are prepared and eaten outdoors. Think Pinot Grigio with personality! Vibrant flavors suggesting citrus, tangerines and peaches. Off dry, perfect as an apéritif or with a broad range of foods. Great with fish, roasted poultry (think Thanksgiving). Sweet Easter hams and German foods like Spaetzle and Wienerschnitzel.